The Clouds Of Heaven recently celebrated their 50th anniversary, and will play at the church again on September 15th for the annual Gospelshout event. The group has seen its share of changes, and has seen its membership pass from one generation to another. All of this for a group that grew out of the church’s need for more music. 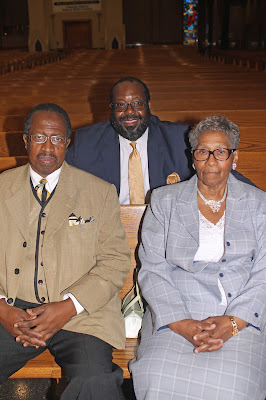 "The order came directly from Bishop Daddy McCullough to start another band,” says Cedric Mangum, who joined the group in 1969, and would later take over leadership of the Clouds Of Heaven in 1976. "There was already another band, the McCullough Tigers, but the had word come down that the Mother Church was too big for just one band. So he gave permission to start this band, which was originally called the Number 2 Shout Band." 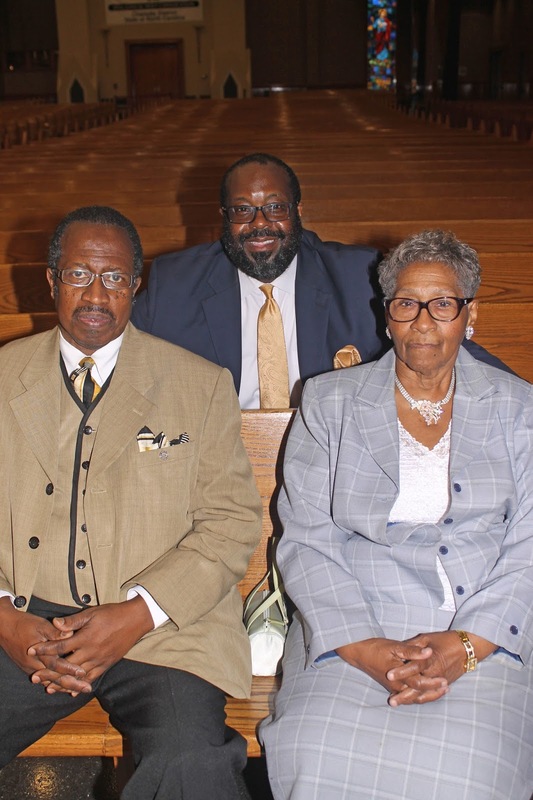 Johnnie E. Phifer began putting the group together with fellow church members in early 1965. "I was 13 when I joined the band,” says Perry, who is now the last original bandmember still playing with the group. “He went to my mother and asked if I could start playing in the band. I played bass drum from 1965 until 1991, and I’ve played the snare drum ever since." In those early days, the group would rehearse anywhere in the church that they could. "We’d rehearse anywhere we could in the church,” says Cangum. "If it wasn’t in here, we’d be in the restroom, we’d be in the staircase. Just trying to find a spot to rehearse. Johnnie E. Phifer really put the emphasis on practice. He’d say, 'Perfect practice make a perfect performance'." "It was always fun and exciting, says Carolyn Phifer, widow of band founder Johnnie E. Phifer, about the group. "If you’re in the House Of Prayer, it’s always fun and exciting. You don’t ever get tired of anything." Eventually, Mangum gradutated to playing the trombone, and played a key part in the band’s breakthrough performance. "We were blessed to part of the fourth of July festival festivities up there,” he remembers. "We played 'My Soul Say Yes'. Daddy McCullough really loved that song. He was walking back and forth on the platform, telling us tp play. He would tell me to "moan it". Back then, I used to put my hand into the bell, to make that moaning sound. It was a beautiful and spiritual time.” McCullough would later come to Charlotte for the band’s Silver Anniversary show in 1990, and re-named the group the Clouds Of Heaven in 1991. Mangum took over the leadersip of the group from Johnnie E. Phifer, who suffered from a brain tumor in his later years. “He went blind due to the brain tumor,” recalls Mangum. “We’d set him up on the bandstand, and he’d sit there and tell me what to play.” Cedric still occasionally leads the group to this day, while Felton Weathers leads the band on a regular basis. "Without Johnnie Pfiffer, we wouldn’t be be where we are now, says Perry. "We’re a national band, now." With the group now 50 years old, the group continues to look its newest members, and future bandleaders. "The children that are coming up, they see what the others are doing, and they want to be a part of it, says Carolyn Phifer. "If you come in here, you’re not out in the street. We’ll take care of you. You’ve got to keep them busy. If you come in here, we’ll have a job for you. If you’re busy in here, you won’t be making trouble out there. We’re here, seven nights a week. We never close." "The kids coming in now, they’re the ones that are going to keep this thing going,” adds Perry. "The little kids coming in playing the bass drum. It’ll be a continuation."